Because all the plans for a second division will come to nothing if the top flight no longer exists. Let me state on record for the Twitterati that I’m for promotion and relegation. Sometimes even the simple act of asking seemingly important questions like, “Who will pay for all of this?” and, “Why would current A-League clubs agree to this?” can lead to some fairly disingenuous accusations about one’s motives. In fact I’d go so far as to suggest that much of the debate around promotion and relegation has been hijacked by voices whose only aim is to drive a wedge between A-League supporters and the rest of the game. Too often the discussion descends into ad hominem attacks and straw man arguments, particularly when you start to ask questions beyond simply why Australian football needs promotion and relegation to the top tier. So it was a nice change of pace to see my fellow Roar columnist Matthew Galea broach the subject during the week in what was a thoughtful and thought-provoking piece. 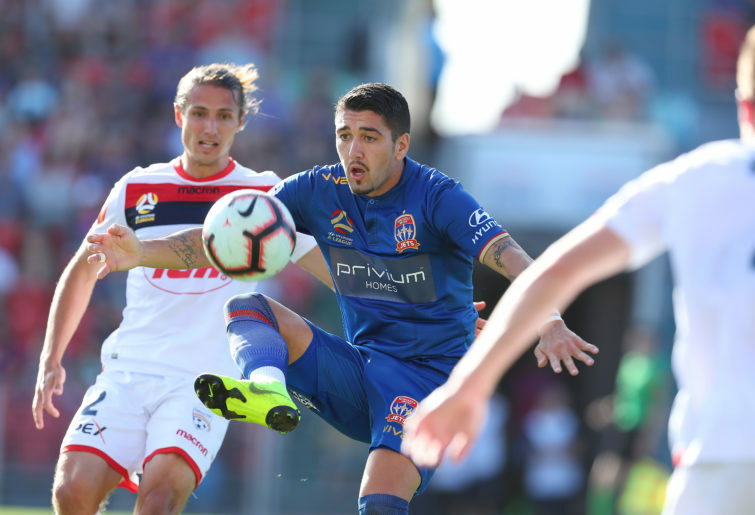 Galea got to the heart of the matter when he asked whether creating a national second division would actually accomplish anything if it didn’t include promotion and relegation to the A-League. And he was right to suggest that any plans to establish a viable second division would “require the buy-in of the existing A-League clubs”. On that note, I’d politely suggest that it’s hard to see how the A-League clubs, the Association of Australian Football Clubs – which represents the interest of National Premier League clubs – and the various state federations could possibly be on the same page. In fact I spoke to someone familiar with the New Leagues Working Group just last week and they hinted that the various lobby groups were worlds apart. The ten A-League clubs are far more concerned with how to stem the bleeding, having collectively lost millions of dollars since the competition kicked off in 2005. There’s not a whole lot of appetite to worry about the ins and outs of promotion and relegation when in reality most clubs are struggling to figure out how to generate some cash flow in the meantime. And that’s where the question of who’s going to broadcast the A-League in the future comes into play. Because at the moment, many of the staunch critics who drone on and on about the desperate need for promotion and relegation are the same who admit they don’t pay to watch Fox Sports. And it’s hard to see any broadcast rights holder pumping millions more dollars into the game if there’s no return on investment. The cognitive dissonance between those demanding a radical structural overhaul and those who will actually pay for it is so great that it must be a concern to whoever is in charge of the A-League over the next few seasons. There’s no doubt that adding a second tier could open the game up to new TV markets, particularly if it includes disenfranchised former National Soccer League clubs. But enough to fully fund the sport? A couple more things need to be acknowledged before we all tee off and shoot the messenger. The first is that the A-League has gone backwards under Football Federation Australia’s stewardship, and the second is that without Fox Sports there would currently be no A-League. Admitting as much doesn’t make me an FFA critic or a Fox Sports apologist; it makes me a realist. And the next slap of reality is that as things stand right here and right now, without immediate capital investment football in Australia simply can’t afford promotion and relegation. What the A-League needs to concentrate on is getting to 14 clubs as quickly as possible. Only then will we have a viable home-and-away season to actually sell to a broadcaster and help fund promotion and relegation in the long term.